Despite major advances in our understanding of cancer biology and the translation of these findings into novel therapeutics, the majority of patients with advanced melanoma fail to derive durable clinical benefit from existing standard-of-care therapies. 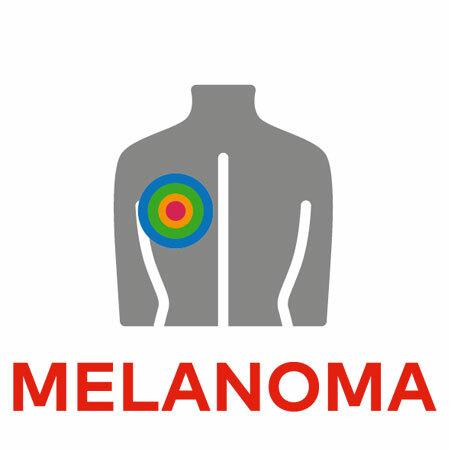 Through integrative analysis of genomic and immunological landscapes, the Melanoma TRACERx study seeks to address this. Tumour specimens and peripheral blood will be studied in highly relevant contexts at multiple stages of a patient’s treatment journey, from potentially curative resections of locally-advanced disease, through to biopsies of lesions responding or refractory to systemic therapies in the setting of advanced disease. Wherever possible, analyses will be performed in a longitudinal manner, allowing serial assessment of anti-tumour immunity, tumour-specific genomics and their interaction. Key objectives of the study include determination of spatial and temporal changes in immunological, genomic and transcriptomic landscapes, identification of novel molecular drivers, immunotherapeutic targets and assessment of the impact of cytotoxic, immune-modulatory and targeted therapies on both the tumour microenvironment and peripheral blood. Menger L, Sledzinska A, Bergerhoff K, Vargas FA, Smith J, Poirot L, et al. TALEN-Mediated Inactivation of PD-1 in Tumor-Reactive Lymphocytes Promotes Intratumoral T-cell Persistence and Rejection of Established Tumors. Cancer Res. 2016 Apr 15;76(8):2087–93. Fan X, Quezada SA, Sepulveda MA, Sharma P, Allison JP. Engagement of the ICOS pathway markedly enhances efficacy of CTLA-4 blockade in cancer immunotherapy. J Exp Med. 2014 Apr 7;211(4):715–25. Furness AJS, Vargas FA, Peggs KS, Quezada SA. Impact of tumour microenvironment and Fc receptors on the activity of immunomodulatory antibodies. Trends Immunol. 2014 Jul;35(7):290–8. Simpson TR, Li F, Montalvo-Ortiz W, Sepulveda MA, Bergerhoff K, Arce F, et al. Fc-dependent depletion of tumor-infiltrating regulatory T cells co-defines the efficacy of anti-CTLA-4 therapy against melanoma. J Exp Med. 2013 Aug 26;210(9):1695–710. Quezada SA, Simpson TR, Peggs KS, Merghoub T, Vider J, Fan X, et al. Tumor-reactive CD4 + T cells develop cytotoxic activity and eradicate large established melanoma after transfer into lymphopenic hosts. J Exp Med. 2010 Mar 15;207(3):637–50. Peggs KS, Quezada SA, Chambers CA, Korman AJ, Allison JP. Blockade of CTLA-4 on both effector and regulatory T cell compartments contributes to the antitumor activity of anti-CTLA-4 antibodies. J Exp Med. 2009 Aug 3;206(8):1717–25. Quezada SA, Peggs KS, Simpson TR, Shen Y, Littman DR, Allison JP. Limited tumor infiltration by activated T effector cells restricts the therapeutic activity of regulatory T cell depletion against established melanoma. J Exp Med. 2008 Sep 1;205(9):2125–38. Quezada SA, Peggs KS, Curran MA, Allison JP. CTLA4 blockade and GM-CSF combination immunotherapy alters the intratumor balance of effector and regulatory T cells. J Clin Invest. 2006 Jul;116(7):1935–45. Śledzińska A, Menger L, Bergerhoff K, Peggs KS, Quezada SA. Negative immune checkpoints on T lymphocytes and their relevance to cancer immunotherapy. Mol Oncol. 2015 Dec;9(10):1936-65. Zelenay S1, van der Veen AG2, Böttcher JP2, Snelgrove KJ2, Rogers N2, Acton SE2, Chakravarty P3, Girotti MR4, Marais R4, Quezada SA5, Sahai E6, Reis e Sousa C7. Cyclooxygenase-Dependent Tumor Growth through Evasion of Immunity. Cell. 2015 Sep 10;162(6):1257-70. 3. Modulatory Therapies in Cancer. J Clin Cell Immunol 6:347. doi:10.4172/2155-9899. Martin-Liberal J, Furness AJ, Joshi K, Peggs KS, Quezada SA, Larkin J. Anti-programmed cell death-1 therapy and insulin-dependent diabetes: a case report. J. Cancer Immunol Immunother. 2015 Jun;64(6):765-7. Joshi K, Larkin J, Gore M. Malignant melanoma. Treatment of Cancer Sixth Edition. Oct 2014; 509-520.